It's easy - and delicious - to make homemade vegan almond milk with just 2 ingredients. Before we even get started about almonds and almond milk, a lot of you may have heard that almond milk is horrible for the environment, especially those living in California. Well, hell no! It is way better than cow milk. 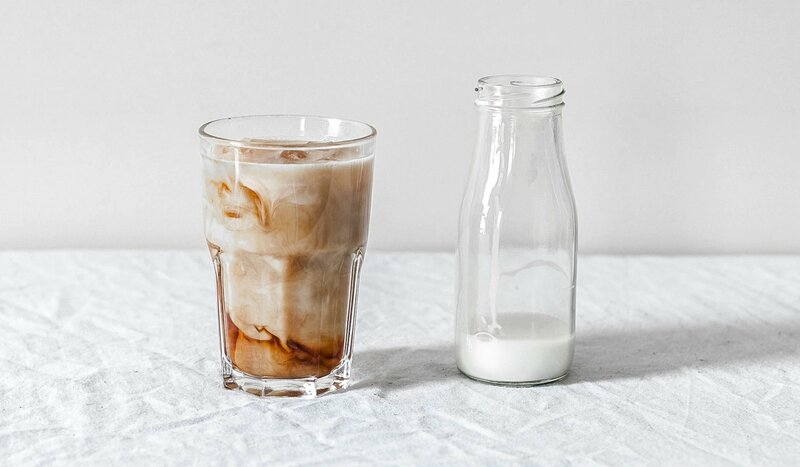 Almond has a bigger footprint than soy and oat milk - but as it is currently the most popular dairy alternative in both the US and UK, we wanted to make it a bit more eco-friendly by showing you how to make it at home. We also have a dog treat recipe which uses up leftover almond pulp. 6. Pour into a air tight bottle and keep in the fridge! It should last in the fridge for 3-5 days. As you already noticed, it's far more water intensive than making oat milk. But if you want almond milk, this is a better option than shop-bought. Just to make you feel better, wanted to remind you that it is far less cruel and environmentally damaging than dairy milk. Don’t forget to like and share this recipe and the video to spread the zero waste love. Maria is the head of written content for Plant Based News. Also a former magazine editor, newspaper reporter, and features writer. Her writing has been published by The Guardian, The Huffington Post, and various regional newspapers, as well as Vegan Life magazine and Vegan Trade Journal. She has interviewed a huge range of people, from Prime Ministers to authors, activists, pop stars and actors, and enjoys the varied range of topics writing for PBN allows her to tackle. You can follow her on Twitter @MariaChiorando and Instagram @mariachiorando.